Taking notes on a computer used to mean opening a text editor. 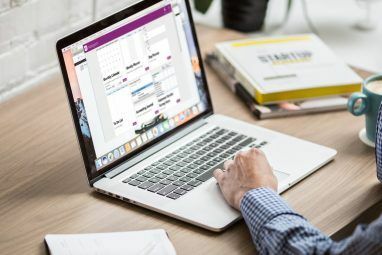 Now people are more likely to use Evernote, Google Keep, or Microsoft OneNote The Best Alternatives to Evernote You Need Today The Best Alternatives to Evernote You Need Today Has Evernote's recent price increase and two-device restriction for the free plan disturbed your note-taking workflow? Then, it's time to take another look at some of the best Evernote alternatives. Read More . But these are closed-source, proprietary services that store your data on remote servers. Do you really want to deal with potential privacy risks just to jot down a few notes? 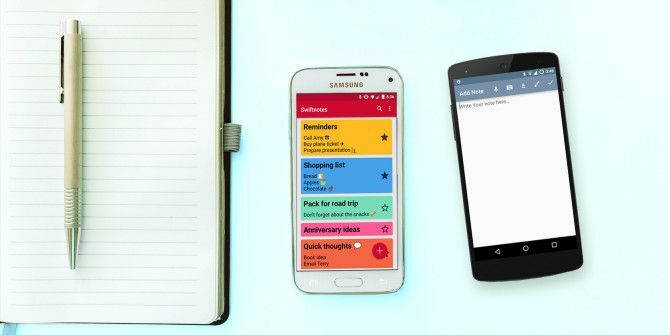 Below are five of the best note-taking apps I’ve found in F-Droid The 4 Best Google Play Alternatives for Downloading Android Apps The 4 Best Google Play Alternatives for Downloading Android Apps Don't want to use the Google Play Store? Or don't have access to it? Here are the best alternative app stores for Android. Read More . They don’t sync files across devices, but personally speaking, that’s a plus. Each one looks just fine on a modern device with material design. If you relied heavily on Keep before deciding to ditch Google How to Use Android Without Google: Everything You Need to Know How to Use Android Without Google: Everything You Need to Know Want to use your Android smartphone or tablet without Google? Want to use open source software? Here we take an in-depth look at exactly how to do that. Read More , then Swiftnotes is your closest open source alternative. You can create notes, type up short blurbs, and give each entry its own color. In Swiftnotes, colors serve as tags. You can’t filter information, but you can quickly identify notes of the same color. Coordinate colors to separate shopping lists from doctor’s appointments and quotes for your history paper. A search function loads up notes that match keywords in the title or the body. Since Swiftnotes is running locally on your device, results pop up instantly. When the time comes to switch phones, you can backup all your notes and restore them later. This is not the same as syncing data across devices, but it doesn’t come with concerns over privacy or control either. Notepad doesn’t feel as polished as Swiftnotes, but it adds extra features for users who find the latter too basic. For starters, there’s basic formatting. You can make text bold, underline key words, or italicize distinctive phrases. This helps to differentiate words that would otherwise blend together. When that’s not enough, you can change text color. Your options are black, red, blue, green, or yellow. This app doesn’t stop with notes you type up. Sometimes a doodle gets the job done better. Here you can sketch a note or write with your fingertip. You won’t create works of art, but you can change the color and brush size. Would you ever consider placing a sticky note on your monitor to help you remember? That could make you the kind of person who would love Floating Stickies. The app keeps a transparent sticky note on your screen at all times, so you don’t forget. I’ll admit, the idea of this app would have driven me up the wall before. How can I use an app when a sticky note is taking up part of the screen? And this is a mobile app — it’s not like there’s much room to work with! But now I find this app to be a great way to remember important things. I’m going to check my phone at several points throughout the day, and a floating sticky note will make sure I don’t forget what we need from the store. Sticky notes aren’t only good for to-do lists. I use one as a reminder to stay positive or to carry around a phrase I read in a book that I want to commit to memory. Notes turn transparent when not in use, so you can always see what’s underneath. Stickies cycle between one of three colors. As for options, there are none. Like real-life sticky notes, the beauty is in the simplicity. There’s a reason people keep making apps like this Post-It To Your Screen - 6 Sticky Note Apps For Windows Post-It To Your Screen - 6 Sticky Note Apps For Windows Post-its on your desktop or Start Screen can be extremely helpful for remembering small but important amounts of information. Stop cluttering up your desk and go digital with these fantastic sticky note apps. Read More . That aside, I wouldn’t use Floating Stickies for jotting down anything long. You’ll want a different app for that. uNote isn’t the prettiest app. The interface does the bare minimal to feel modern, but not everyone needs their notes to look like Post-Its. uNote’s notes each have a title and a body. There’s no formatting, doodling, or any other way to spice things up. Each entry appears in a straightforward list. As boring as that sounds, there are reasons to check this app out. One is the option to search notes by title and content. Another is the inclusion of both creation date and modification date, so you know when you made each entry. Then there’s the ability to password protect each note. Not only that, you can set individual passwords. If you want an extra layer of privacy, this may be the way to go. Maybe you take serious notes. Some of these apps will work, but they’re less than ideal. When you’re poking out lengthy, heavily-formatted documents from your phone, you need something with a bit more umph. Writeily Pro lets you write in plain text and markdown. The latter gives you much of the capability you would expect from a word processor What Is Markdown? 4 Reasons Why You Should Learn It Now What Is Markdown? 4 Reasons Why You Should Learn It Now Tired of HTML and WYSIWYG editors? Then Markdown is the answer for you no matter who you are. Read More . We’re not talking only bolding, underlining, and italicizing. You can create both bulleted and numbered lists. Then add hyperlinks to websites you want to remember. Markdown is a great way to write for the web. When you’re done with a note, you can export to plain text, HTML, or an image. Then you can upload it to a blog. The app intends for you to create a bunch of notes, so you have the option to make folders. And like with uNote, you can shield your notes from nosy individuals. This time you use a PIN instead of a traditional password. Pardon the absolutely terrible pun. I tried. Maybe you can write down a few suggestions using any of the apps above and get back to me with your best ones. While you’re at it, which app do you like best? 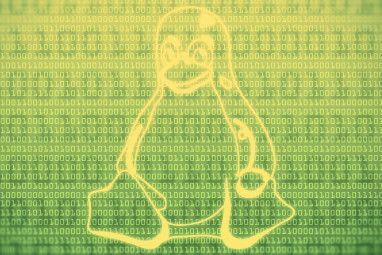 Is there another open source option that I’ve missed? Let me know! 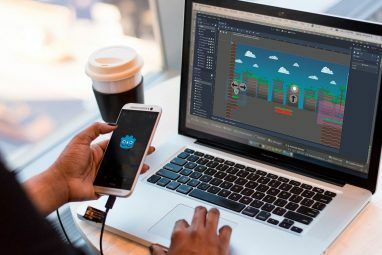 And if you’re contemplating replacing all your Android apps with open source alternatives, here are twelve of the best 12 Best Free and Open Source Android Apps 12 Best Free and Open Source Android Apps Are you an open source enthusiast? Then you'll love these apps for your Android phone or tablet. Read More . Explore more about: Note-Taking Apps, Open Source. I use Google Keep inmy smartphone, tablet and laptop. Very simple on daily practice. For several years I used self hosted, password protected wordpress, for note taking, along with its android app. It does the job, but looking for better alternatives. I use Keep, and place it, with reminders option, as the default screen on my Note 5. With using of color options I don't 'forget important things anymore. Not to mention Keep is on my smartwatch and my Chromebook too ! Omni notes is my go to note app, open source too. If you want to take notes and read them on multiple devices or take notes just on your phone with no worries about security, I recommend KeePass. It was originally designed as a password manager but it includes a note section in each entry which allows free form text. The entire file of entries is password protected and locally encrypted. You can store it in Dropbox without worries. I use it for notes like my familiy's SSNs as well as passwords. Go to the KeePass website ( http://keepass.info/index.html ) for more info and for ports for various phones (I use KeePass2Android). That said, for most notes I find Keep to be just to convenient to ignore. From sharing a grocery list to photographing model and serial numbers to generating reminders, Google does it right.I only wish they'd let me display just the titles and add sort and search to lists.